I devour Bookmarks magazine whenever it comes out. 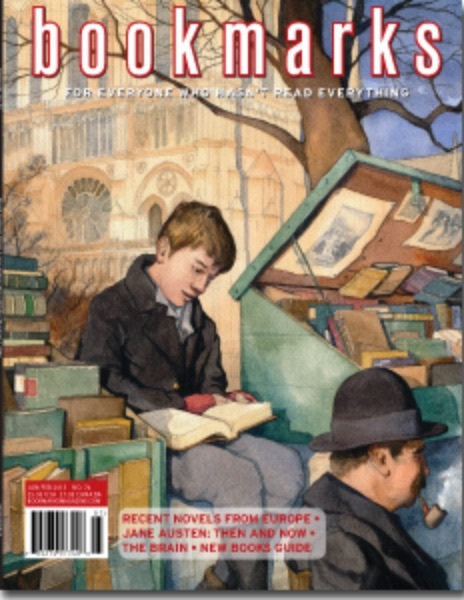 The magazine covers recent publications in a range of genres, and gives an excellent summary of the major reviews. I read it cover-to-cover pencil in hand, marking the titles that interest me. Then I go to my computer and download a free Kindle sample of each book to my ebook reader. This is rather like browsing books in a bookstore. I check each title out, and buy the books that hook me—print editions for the half of the year we are in Canada, (mostly) digital editions for the six months we live in Mexico. This inevitably leads to book overload. In little over one month, we will be packing up, closing up, locking up, and flying from Canada to our second home in Mexico. I will need to decide which books go with me, and which ones stay. This is not easy for a bookaholic, much less a writer of historical fiction. The Sea by John Banville. You see what I mean? Where can I sign up for Bookaholics Anonymous? I had the honour to be asked to read a pre-publication copy of A Measure of Light by Canadian author Beth Powning. She’s already an award-winning author, and—frankly—I won’t be surprised if this novel doesn’t garner more. It certainly held me captive and in awe. A Measure of Light by Beth Powning is a spellbinding work of biographical historical fiction, gorgeously written in spare, crystalline prose I found reminiscent of the finest writers of literary historical fiction today. (Geraldine Brooks, Tracy Chevalier and Hilary Mantel come to mind.) 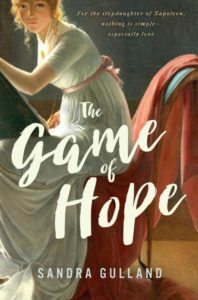 A brilliant evocation of 17th century England and America, it’s the story of one woman’s search for faith and the horrific sacrifices she makes once she finds it. Grim yet luminous—as well as illuminating. In a word: enchanting. Believe me, I am rarely so effusive. As I was reading the novel, I had questions about the author’s research and writing process, so I was extremely pleased when Beth accepted my invitation to answer a few questions here. What were the unique challenges in writing about Mary Dyer? When I first “met” Mary Dyer, I found her actions disturbing, even repellent. How could a mother leave six children for a five year period? Why would she return to them and then dedicate herself to a cause, thus once again removing herself from them? And how on earth could Mary walk into the jaws of death? Telling her story became a kind of psychological mystery, a who-dun-it, where I knew the ending, but had to trace the steps leading up to it. 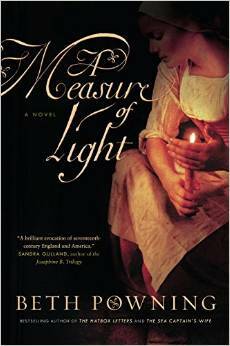 Reading A MEASURE OF LIGHT, I was in awe of the wonderful details of daily life. 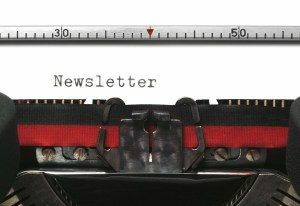 I’d love to know specifics about your research process, specifically with respect to daily life. What did you find most useful? How did you keep track of it all? Writing the first draft of a historical novel is a slow process. When I write, I visualize a scene in its entirety. I imagine myself, in a visceral way, to be there; I see, smell, hear. I find it hard to proceed with the writing until I have all these elements in place. Therefore, I must maintain a complex mental balance. I am thinking about the undercurrent of the scene, its meaning and contribution to the novel’s whole; I am working on character, who is there and what they are saying and feeling; I’m conscious of the pacing of both the scene itself and its placement within the text—yet I also need to know whether there’s a fire on the hearth; if the room is lit, and by what; whether there are shadows; what is cooking in what kind of a pot over the flames; if I can hear the rumble of wheels or the neighing of horses. I had two invaluable books for the details of daily life in the colonies. “Home Life in Colonial Days,” by Alice Morse Earle, was written in 1898. Amazingly, Alice Earle could tap into the living memory of the elders of her time, who still recalled how things used to be. Another book was “Every Day Life in the Massachusetts Bay Colony,” by George Francis Dow. For England, I used a marvelous book first published in 1615, “The English Housewife,” by Gervase Markham, filled with recipes and home-making instructions. I had a few other excellent books about 17th century England. If they could not provide what I needed about details of daily life, I would search the internet. I have an old-fashioned filing cabinet. In its pull-out drawers, I made major sections like England, New England, London, Puritans, 17th Century General. Within each of the sections, I placed paper files labelled gloves, writing implements, tools, money, jails. I also kept a virtual file on my computer’s bookmarks page, with links to websites. I used both systems, paper and computer, all the time. I have a large cabinet in my study. In it is a shelf earmarked for books about Puritans, another for the Quakers, one for English history, etc. These shelves gradually filled with books that I either bought on-line or in 2nd hand bookstores. Library books, too, were parked there. Spiral-bound notebooks fill with “notes on plot,” “notes on character.” As I write, every draft gets its own notebook— “Notes Chp. 1, draft 2;” “Notes Chp. 2, draft 3.” There are notebooks for editorial conversations. It might sound chaotic, but in fact I keep my office highly organized. I have to be able to find all this stuff, without wasting time rummaging around for it! Do you plot? How many drafts? When do you research? In my last two novels (The Hatbox Letters, The Sea Captain’s Wife) I dove in without knowing where the novel would go. A Measure of Light is a true story, but since only the ending and some of the middle of Mary’s life are known, I had to work backwards. I made up Mary’s early story. Even so, I didn’t know exactly how it was all going to unfold. That happens as I write. I didn’t know about Sinny, for example, until I began to write. Then I had to pause and make up Sinny’s back-story. I love not knowing what is going to happen. I start with the research. I read and read and read. I underline in books that I own, take notes from library books; it’s just as if I were back in university, taking a history course. As I study, ideas come to me about how I will transform these facts into fiction. I keep track of my thoughts in a notebook. There is always a moment when the longing to transform the information into a rich, living story becomes acute, and I simply begin to write. Too MUCH research can kill the novel. I become intimidated by the sheer volume of information that exists about the period, and strangely depressed by the historian’s objective voice. A MEASURE OF LIGHT traverses many places, and over a considerable stretch of time: London (1634-1635), Boston (from 1635 to 1638), Aquidneck (from 1638 to 1651), England (from 1651 to 1655), New England (from 1657 to 1660). Even so, it is a fairly spare novel, under 300 pages. How did you grapple with all the shifts in time and place? Although I don’t plot, I did in fact block out the time periods before beginning. I begin at the beginning, and remain in each time and place until that section’s story is told, writing as much or as little of it as I think is needed. The first section, “London,” was, of course, enormous (SO much information, such a rich period!) and was heavily cut. The next, “Boston,”was the most difficult, since so many crucial things happened in that period, most of them necessary to understanding the rest of Mary’s story. The other periods grew or shrank during the editing process. A section which took place in Barbados was completely cut. During the early drafts, when I realize that some parts of the story will take place over a long period of time without a lot happening, I simply write a few paragaphs indicating the passage of time and go on. Then I return later and fill it in. As a novel progresses, what comes later effects what came before, and vice versa. It’s like kneading dough. You fold and turn and fold again, working all the elements into one loaf, so to speak! I always make a time chart, too. It’s a long roll of paper. Along the top are the characters, with their dates of birth. Along the left are the years. So in 1637, say, you can see at a glance what everyone in the novel is doing, how old they are, where they’re situated. I include a column down the left-hand side for historical events, so you can also remember what’s going on in the world. 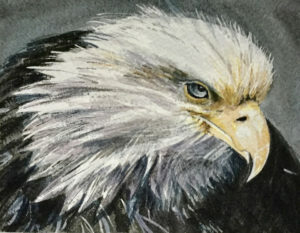 This is done with pencil and paper, not on the computer. Your prose is wonderfully rich in similes. Clearly, you have a poet’s heart. I hesitate to ask about technique, yet I am curious. I make them up myself. It’s how my brain works, so in fact I am constantly “shutting down” similes. The book could easily have far, far too many. They rise like bubbles slanting through…oops, there I go. In fact, I do work very hard to get them right. I sit with my face in my hands and search my memory bank. One of the things I say to myself is: how is it really. And then: think sideways. What does the bark of an ancient spruce tree REALLY look like? How does it feel to the tips of the fingers? Is there something I can compare it to that will bring this alive for the reader? This, again, is why writing is a balancing act. I’m dwelling on this problem, aware that it is only a beat or two in a large symphony. “Think sideways”—I like that. Thank you so much, Beth! I was delighted that Beth mentioned the work of Gervase Markham. When I was researching Mistress of the Sun, I became so absorbed in The Compleat Horseman—his work on horsemanship—that I began “translating” it into modern English. Set in 1600s New England, A Measure of Light tells the story of Mary Dyer, a Puritan who flees persecution in Elizabethan England only to find the Puritan establishment in Massachusetts every bit as vicious as the one she has left behind. One of America’s first Quakers, and among the last to face the gallows for her convictions, Mary Dyer receives here in fiction the full-blooded treatment too long denied a figure of her stature: a woman caught between faith, family and the driving sense that she alone will put right a deep and cruel wrong in the world. This is gripping historical fiction about a courageous woman who chafed at the power of theocracies and the boundaries of her era, struggling against a backdrop of imminent apocalypse for women’s rights, liberty of conscience, intellectual freedom and justice. 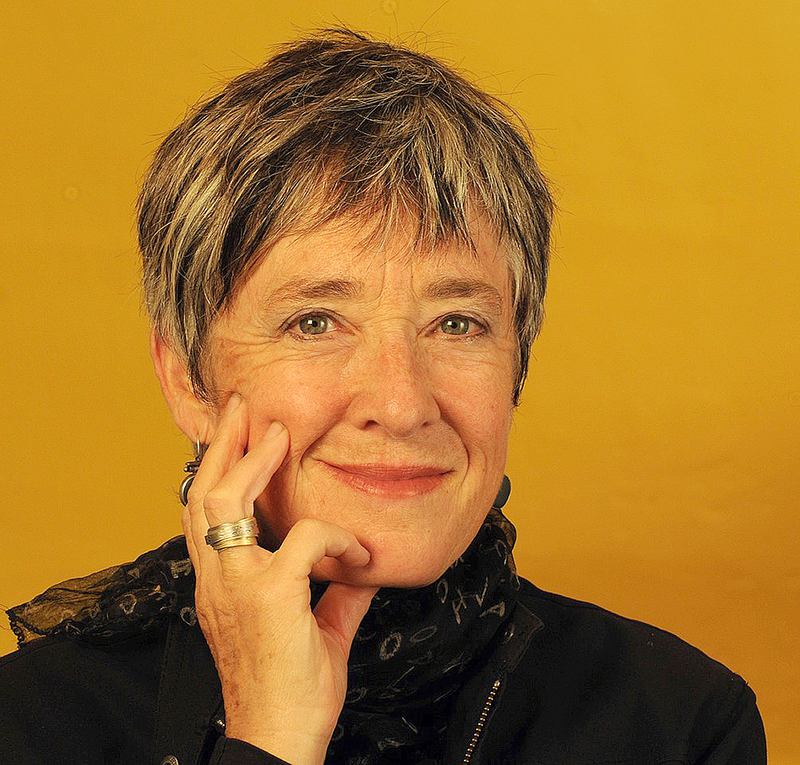 It’s a busy week in San Miguel de Allende: the Writers’ Conference is on and there are many writers in town. Yesterday I heard Tracy Chevalier‘s keynote address on the importance of history (wonderful), and tonight my husband and I are going to hear Scott Turow. Tomorrow, Gloria Steinem, and Saturday, Jane Urquhart. I likely would not have written the Josephine B. Trilogy had it not been for the advice of Jane Urquhart, who was writer-in-residence at the Univ. of Ottawa when I was trying to figure out what to do with my very messy draft of a contemporary-mystery-comedy. I’m especially excited to see her. As busy as all this sounds, I’m taking it relatively easy this year, because I’m working on draft 5 of The Game of Hope. “I have done the second draft of all of my novels in longhand so that I slow down and think about what I’m doing more. That has been extremely helpful.” — Russell Rowland in a 5 on interview. He also has some very interesting things to say about self-publishing. Interestingly, Tracy Chevalier writes in longhand, and then types the day’s work into the computer at the end of the day. 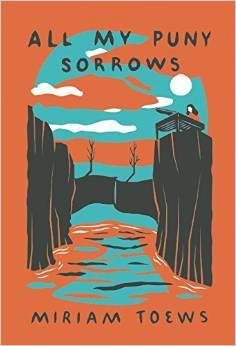 What I’m reading now: All My Puny Sorrows, by Miriam Toews. Wonderful! 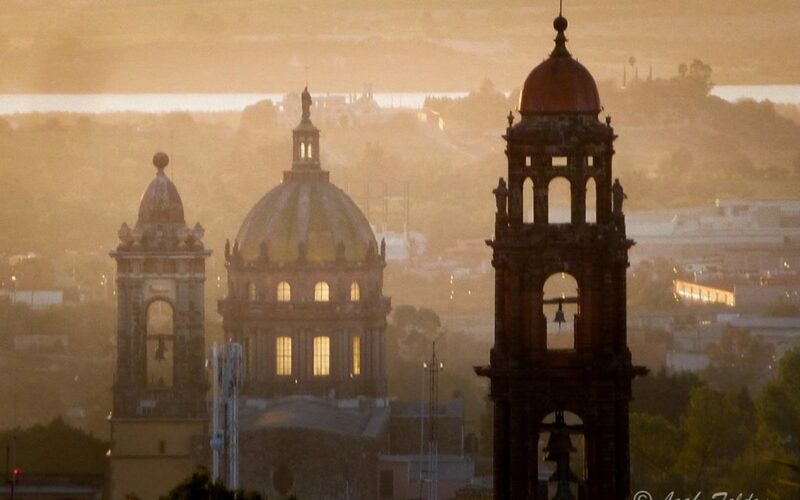 The photo of San Miguel de Allende at the top is by photographer and friend Leah Feldon. • I edited the 4th draft of The Game of Hope and began draft 5. 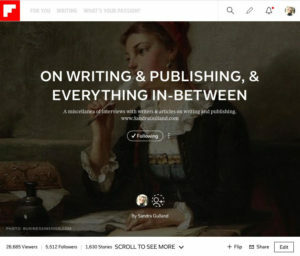 • I read a lot, likely because I’m reading on my little Kindle, and not on the Kindle app on my Net-connected iPad. 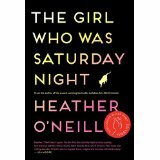 • I finished THE BOOK OF STRANGE NEW THINGS by Michel Faber (my first Sci-Fi), and am close to finishing THE GIRL WHO WAS SATURDAY NIGHT by Heather O’Neill. (Delightful! I have previously read and very much enjoyed LULLABIES FOR LITTLE CRIMINALS.) I’m still reading and highly recommend Publishing 101 by Jane Friedman as well as various research books. • I read a pdf of wonderful novel that I gave a rave quote for … I’ll have more to say on this book when it is published in March. 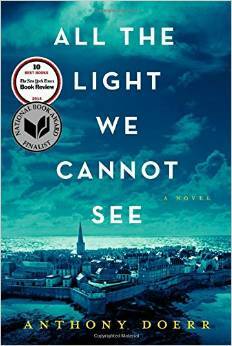 • I listened to a wonderful audible recording of ALL THE LIGHT YOU CANNOT SEE, a novel by Anthony Doerr that was on virtually every “best of 2014” book list. This course has got me reconsidering my writing research method. I used to write notes out by hand. Now I prefer highlighting passages on Kindle and sending these to Evernote—knowing that I can always find the information should I need it. Not exactly. Evernote is great, but the trouble is: when I look for something on Evernote, I find the mass of notes overwhelming. It’s not that functional system for me, in truth, and I’ve long had a hunch that writing down notes by hand was more effective. This Coursera course has confirmed the importance of approaching information through different media. Another problem I have is resistance to organizing my research. I’m content to cruse the Net, buy new books, read and highlight them, but I’m somewhat scattered and slapdash about it, in truth. 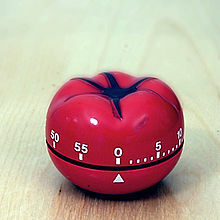 This course has reminded me of the value of the Pomodoro approach: setting a timer for 25 minutes of focussed distraction-free (i.e. Net-free) period of time. It has also reminded me of the key importance of review: and this is where note-taking comes in. 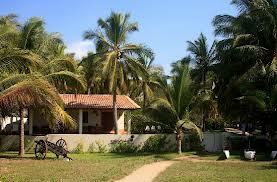 The course also emphasises how important relaxation is to learning. And so … to the hammock. Author and screenwriter Robin Maxwell recently wrote to me about, among other things, that mischievous Saint Nick. 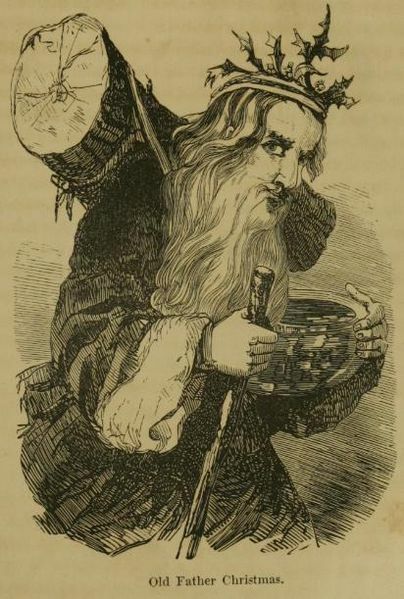 While she and her long-time collaborator Billie Morton were researching the history of Santa for their recently-published Middle Grade novel Trouble in Toyland, they learned that in Renaissance England the idea of a jolly, gift-bringing immortal of the Yuletide season called “Father Christmas” came into existence during the reign of Henry VIII. This inspired them to write “Lady Karola and the Christmas Stranger,” a Renaissance romance short story (with a touch of fantasy) that takes place on Christmas Eve at the court of Elizabeth I, when one of the queen’s waiting ladies first lays eyes on a mysterious stranger. 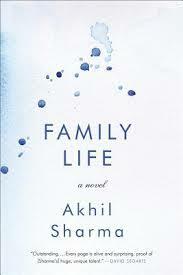 Of all the books I’ve recently acquired, the one that has most charmingly hooked me is Family Life by Akhil Sharma. If you’ve read about this memoir, you may be scared off—the author’s brother is tragically paralyzed in a swimming accident—but believe me: it’s gentle and warm and humorous. Beautifully written. I highly recommend it.